We are committed to maintaining the highest standards of integrity and professionalism in our relationship with you, our client. We endeavor to know and understand your financial situation and to help provide you with quality information, services, and products to help you reach your specific goals. At Kong Financial Services, we treat your affairs as if they were our own. We place tremendous value in creating a positive and tangible connection between our clients and our firm, and a premium on transparency, integrity, and due diligence. By adhering to these fundamental core values, we provide each client with a positive and fulfulling experience with our firm. 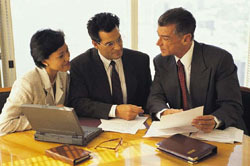 It is our firm's committment to help our clients make informed and confident decisions.